Innovative Jewelry, Accessories & Art. The Coggler's Shoppe is a wonderful example of crafting with materials most people would deem no longer useful, but this artist sees potential that others don't. By opening watches to use what's inside, Troy puts the works to work in unusual ways that are really quite beautiful. Most of us have never seen the inside of our much relied upon timepieces. Of course, with the rising popularity of digital watches, its likely that more and more traditional models are being forgotten. 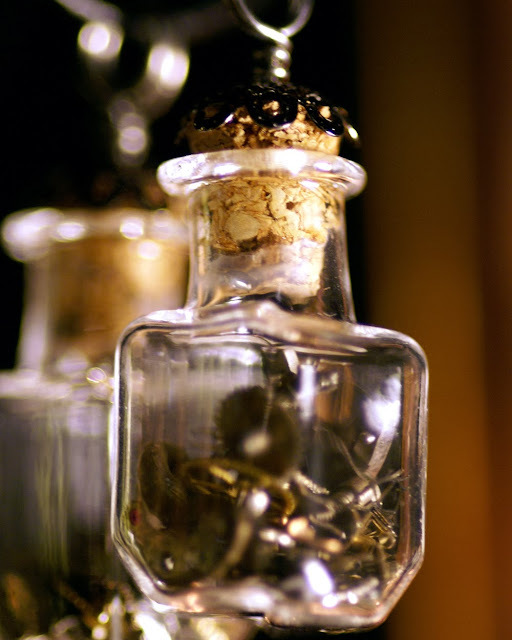 I also love the symbolism that one can ascribe, essentially "Time in a bottle." 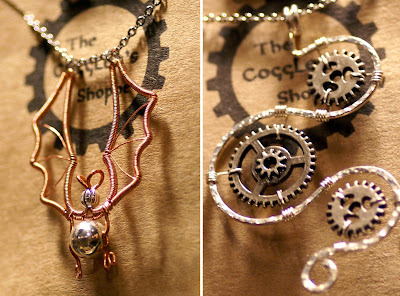 While I haven't jumped on the SteamPunk train, I do enjoy this beautiful repurposing of something semi-industrial in ways that produce necklaces, pendants, bracelets and earrings that are equally feminine. Some of Troy's designs incorporate charms with quirky flair like animals. Hey also does masterful job with wire, wrapping and creating different shapes like trees. 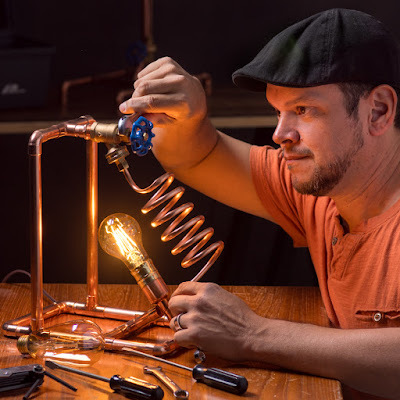 In the last year or so, Troy has been playing with other ways to use his steampunk style in formats that people can enjoy and use, including notebooks, mirrors, lamps and wall art. 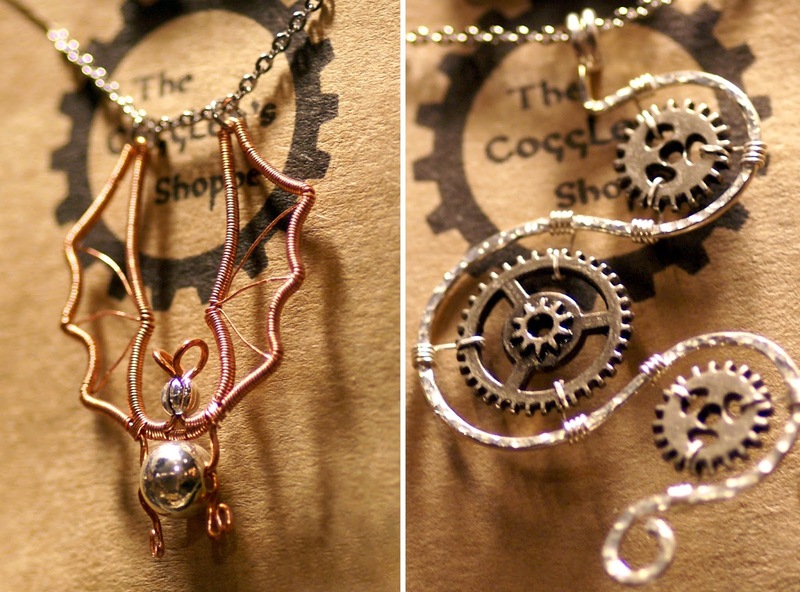 It's always fun to see what new things The Coggler's Shoppe has come up with. Well done Coggler's Shoppe! Check out their store online.